Lucia Simmons was a young woman ahead of her time. Strong-willed and ambitious, she pursued a publishing career during the fifties: a time when most women gave up their jobs to become stay-at-home wives. Despite her gender and elevated social status, Lucia quickly rose through the ranks in a man’s world. Unfortunately, she was less successful at her passionless marriage. When her husband asked for a divorce, her life flew out of control, only to result in a shocking consequence. Elmore Simmons, Lucia’s brother and a successful attorney, was the soul of propriety. His disapproval of Lucia’s choices never got in the way of helping her when she needed it most. When an uncharacteristically poor choice of his own came home to roost, it was Lucia who was there for him…with the perfect solution. 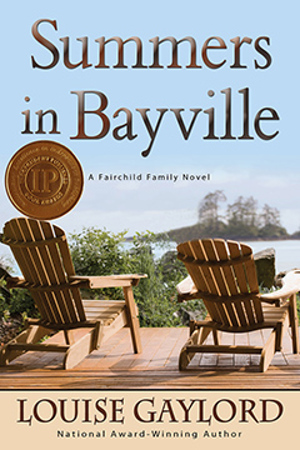 Summers in Bayville brings the Simmons/Fairchild family to life, providing an engaging and deeply revealing portrait of a woman determined to be herself, tradition be damned. Summers in Bayville is the first book of a trilogy chronicling the fortunes and failings of one of Manhattan’s elite clans.